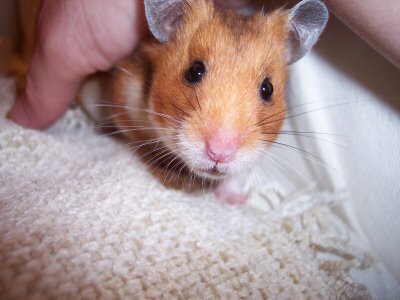 I am sad to say that Nessie the Hamster has passed away last Saturday. she has made me laugh and smile every day. You were there all the time. On you I always could depend. The one who knew me best. Your trust in me never wavered. Nor did mine in you. And I was left. Incomplete. where I could always go and visit her. If you have any messages, that you would like to say to RIP Nessie. Please leave a message in the comment box and I will past all the messages to her in her ceremony at the weekend. If your country is not listed, please be patient and wait. Nessie had been very tired and lazy lately. "What's up?" answered Nessie, curiously. there demonstrate an example of every English architectural period since the arrival of the Saxons, including the iconic, mid-18th century Radcliffe Camera. can see an example of what the city looks like. The weather that day, by the way, was absolutely lovely. Look how decorative this part of the door is. Beautiful design. Here is an small Tavern called the "Turf Tavern". "The Turf Tavern (or just "The Turf") is a popular but well-hidden historic public house in central Oxford, England. Its foundations date from the 13th century and the low beamed front bar area from the 17th. It was originally called the Spotted Cow but changed its name in 1842, probably as a reaction to gambling meetings held on site." "Local legend has it that it was at the Turf Tavern where former U.S. president Bill Clinton, while attending Oxford as a Rhodes Scholar." Within the Malmaison Hotel, at Oxford Castle. "Malmaison Hotel is crafted within the prison walls – a charismatic place to stay with the famed Malmaison-style interpreted in unique buildings"
This is the plate that the prisoners used in the past. Open top garden at the "Living Room"
On top of the "mound"
"The Alice's Shop in Oxford is the original Alice in Wonderland Shop. This was where the real Alice, Alice Liddell, used to buy her barley sugar sweets 140 years ago. Lewis Carroll wrote the shop into the Alice adventures in Through the Looking-Glass and the illustrator, Tenniel, sketched two illustrations of the shop for the book."